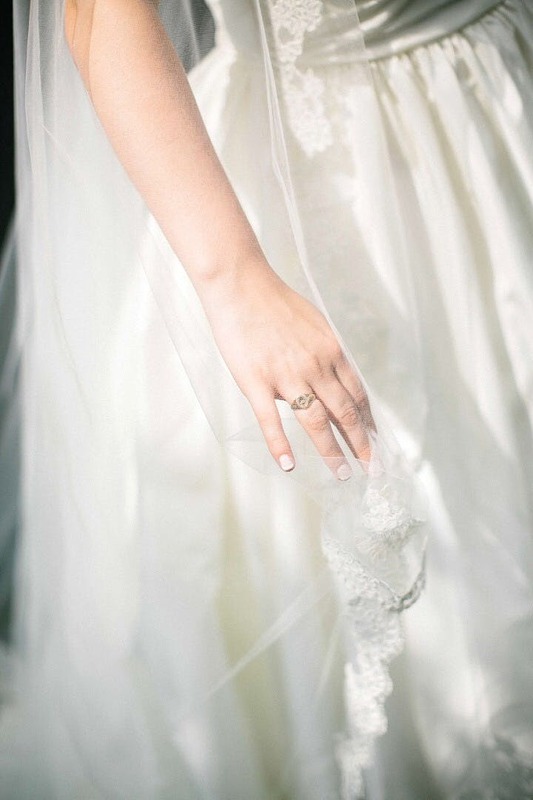 This fabulous French lace veil is the perfect pick for a classic, romantic look. 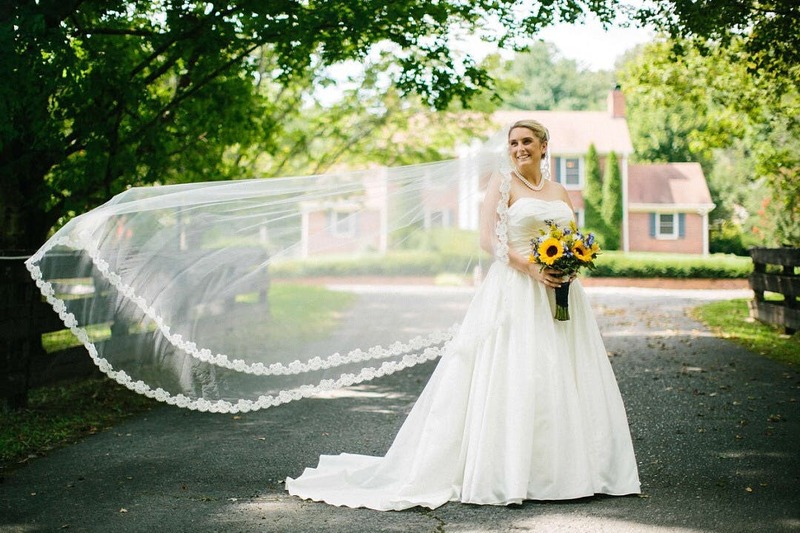 This design features beautiful Alençon lace that is hand-cut into a gently scalloped pattern and stitched along the soft falls of this chapel length veil. Genuine French lace is about 2.25" across at widest points. Topped off my wedding look!